The city is located near the heart of Grayland and enjoys an annual rainfall that averages around 160 centimeters and feeds marshlands to the south, nort and east, with the air almost constantly damp and the streets forever slick. Solaris City is the capital and beating heart of the Game World, and it is the home of the movers and shakers of Solaris VII. The city (surveyed and plotted in 2370) is home to some five million people, and it is divided into six principal districts and the suburbs. Starting in the 2700s several ethnic neighborhoods were created. The International Zone holds no specific allegation, but each of the other neighborhoods is considered aligned with one of the five Great Houses. These are the Black Hills (Davion), Cathay (Liao), Silesia (Steiner), Montenegro (Marik), and Kobe (Kurita). Each of the districts hosts a Class Six arena, where the top MechWarriors battle each year to determine the champion. Residents of the sectors are actually still considered citizens of their respective nations, so Solaris City finds itself the home of many individuals who are persona non grata in their home nations, but still wish to remain citizens. Because of this phenomenon, the residents of Solaris City are often unrepresentative of the people from their parent nation. The city itself is almost divided in equal half part by the Solaris River. Several bridges connect both sides of the city. The Solaris City underworld was composed of a vast network of tunnels, underground repair bays and storage facilities that ran under the city, allowing 'Mechs to move around without disrupting traffic in the streets. Each arena was tied into this network, as were the spaceport and the main 'Mech yards for each sector. The tunnels connecting these hubs were fifteen meters high to accommodate even the tallest BattleMech and sixty meters wide at the narrowest point. Only four tunnels crossed under the Solaris River. The one that went deep stretch under the Cathay lowlands was the most difficult as water seepage was a problem throughout Solaris VII's wet months (which were most of the year). There were also issues with the tunnels on hilly terrain of the Davion sector of the Black Hills, which compounded one problem area with another. Aligning the tunnels of the Black Hills with those of the Cathay lowlands had been extremely difficult, so that only three main passages existed to pass from one sector to the other. Two of them had required the construction of ramps that allowed above-ground travel for a few blocks. These rose up in the middle of the Black Hills' extensive slums where no one minded inconveniencing the residents. One of the known passes goes to Frances Avenue ramp. Solaris City is ringed by a suburb known as Xolara, which itself is surrounded by Burgton. To the northeast is Roland Fields, while Bracken Swamp is to the southwest. Many native Solarans live in these suburbs, as also do most of the Periphery natives, while Rasalhagians tend to live in Xolara. Xolara, Burgton, Rolland Fields and Bracken Swamp are sometimes collective known as The Reaches. The International Zone is governed by Solaris' central authority and primarily serves as a transportation and general utilities hub, in addition to various tourist attractions. The main spaceport is located in the International Zone, offering access to the mass transit system which criss-crosses the entire city. The Solaris Police Department is known for its professionalism and incorruptibility, though they are often unwelcome in other zones, while the Solaris Times provides a full listing of upcoming fights and their associated spreads. Auto Row - Located next to Hotel Row this is the place to hire top-of-the-line cars, from Avanti sedans to Zoast sporsters. Astrid Palmer Memorial Hospital - Located between Brass Street and Ash Street, this is the best equipped hospital in the city, and wounded MechWarriors and wealthy foreigners use it. BattleMech Center - Located between Porter Street and New Avalon Street, the center features individual pods in which participants control a simulated 'Mech guiding it through computer generated trivid terrain. 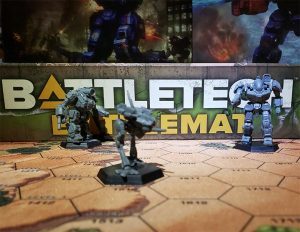 Battletech Museum - Located between Apollo Street and Raglan Street, this is one of the most popular tourist spots. It displays BattleMech technology, interactive demonstrations of combat, piloting, strategy and tactics, and valuable artifacts from the Succession Wars. The site is well protected. The crown's treasures include the cockpit from Aleksandr Kerensky's Orion, a head and partial torso from a Mackie, a group of ancient Kurita flags and Kenyon Marik's personal banner. Budget Transport - Located between Porter Street and New Avalon Street, , this company's headquarters is located in the International Zone, and it rents out personal hovercraft for daily jaunts through the city. Smaller offices are located through the city. City 'Mech Bays - Located between Victoria Way and the Solaris Spaceport, it is the place where arriving 'Mechs are checked in, inspected and registered by Solaris Games Officials. This is a mandatory step. THis was the center of a lot of fighting during the Solaris Riots as it was seen as a place to get replacement 'Mechs and spare parts. City Police Department - Located between Helmlock Street and New Avalon Street, it is the Central Police facility in the city. The Solaris Police Department (SPD) though highly regarded by the police departments of other sectors, usually only patrols the International Zone as the other PD make it feel uncomfortable outside it. They handle crimes against the foreigners or against Solaris VII as a whole. But crime made by foreigners will be handled by the district police departments. Cy's 'Mech City - Located between Powers Avenue and James Street, this company deals with scrapped and rebuilt BattleMechs. It is the only one of this type in the International Zone and it is considered neutral territory. The quality of the 'Mech can range to serviceable machines valid for novice MechWarriors to barely recognizable scrap useful only for spare parts. The shop is owned by Cy Armstrong, a typical used-vehicle salesman. Armstrong is known to have Black Market Connections. Solaris Civic Hall - Located between Porter Street and Halloran Street, it is the place where the Solaris Civic Council meets daily. Comstar Community Center - Located between Greenway Avenue and Halloran Street, this is the structure where the ComStar acolytes and adepts operating the HPG live and work. Unknown to most, this is also the place, hidden in an underground bunker beneath the building, where a Level III of the 247th Division Thought of War IV-pi is based. The facility could support half a Level IV with all the supporting elements as AFVs and aerofighters. Solaris General Court - Located between Madelynn Avenue and Ashley Street, this is the Court destined to crimes against foreigners, damage to public property or smuggling are tried here (each sector deals with most crimes in their zones). Those convicted will be sent to the Solaris Prison near Xolara. Chief Prosecutor Josef Dukes became famous as the prosecutor of the 3074 trials against WoB supporters. Golden Atlas - Located between Watney Street and Halloran Street, this is a cheap hotel and the rooms cramped with an indifferent or rude staff. But the Casino it hosts (both for Solaris Games matches or traditional games), is a major tourist attraction. It is owned by Geraldo Pérez who will defend his staff and check against cheaters. A small army of bouncers will take care of infractions. Grafina Gerbert Concert Hall - Located between Voctoria Way and James Street, this is an imposing neoclassical structure where orchestras perform the music of three millennia. Guild Hall - Located between Powers Avenue and Minnesota Way, this is a long warehouse-like structure decorated in Greco-Roman motif. It is the place where brokers, talent scouts and representatives of the Successor Houses, Periphery states and mercenary units go looking for young talent. This means that it is invariably packed with MechWarriors looking for those opportunities. The First Solaris Bank is located between Jade Street and Halloran Street. Founders Bridge - Located between Cable Street and the Solaris River, it is an ugly span of black metal over the Solaris River. This is the oldest bridge of the city, its pilings dating back to the city's earliest days. The Imperial - Located between Hemlock Street and James Street, this is a mid-range hotel with an average restaurant (the Imperial Restaurant), that nevertheless is one of the most popular hotels on Solaris. Only major property damage or flagrant lawbreaking will make the police be called. Solaris Mall - Located between Roberts Street and Minnesota Way, is a tourist trap for them to buy souvenirs, clothing, books, pictures and other items. It includes a Theater specialized in Mech-related movies. Battle Theater - This is a first-class tri-vid theater. Grigg's Souvenirs - This is a cheap souvenirs can be found here. Mechboox - This is a bookstore which has an extensive selection of 'Mech-related books. Mechflix - This is a store with a complete line of 'Mech-related tri-vid. Nakatomi Clothiers - This is a shop where a complete line of 'Mech duel apparel can be bought. Solaris Memories - This is shope where expensive and tasteful souvenirs can be bought. The Mechwarrior - Located between Burl Avenue and Halloran Street, this is the premier sport bar in Solaris City, high-class and high-prices. It is owned and managed by Akim Rashid, and rumors say he can provide any form or entertainment (illegal ones too) for the right price. Monorail - This is a sleek, bullet-shaped train that runs on a magnetic rail carrying visitors from the spaceport to Hote Row. It goes from Bass Street to Halloran Street. Pop TV - This is a building belonging to one of the many trivid corporations on Solaris, it was destroyed by Mandole Mgwane's Jinggau during the first Word of Blake attack on 16 June 3068. Solaris Public transport - The Company's headquarter is located here. This company runs buses through Solaris City. Rail Station - This station connects the city to several locations out the main company. The Solaris River Water Park - Located between Siriwan Street and the Solaris River, it is a narrow strip of green hugs that provides whomever walks here with a pleasant place for relaxation. At night, its thick hedges and shaggy fir trees make excellent locations for secret meetings, contraband and other illegal transactions. Rover Park Zoological Gardens - This is a collection of Terran and extraterrestrial animal life. Hotel Row - This is the section of the city where most of the hotels can be found, and it is located between Hemlock Street and James Street. They are known for their outrageous prices and spectacular service, accommodations and views. The Royale - Located between Hemlock Street and Halloran Street, this is the second most luxury hotel in the city, targeting wealthy clientele. The hotel has two highly recommended restaurants, The Crystal Rose on the main floor and the Stargazer Lounge on the top floor - also offering one of the best views of Solaris City. Hotel Solaris - Located between Porter Street and James Street, this is the ultimate budget accommodation (looking like an ugly cinder-block boxes). The hotel is usually packed with tourist on low-rent tours, and by the underworld who use it as a meeting place and transfer point. They known that only in event of gun play or major bloodshed the authorities will be called. Steel Bridge - This bridge, part of the Solaris Highway 1, is a double-deck bridge that allows conventional ground traffic (upper deck) and train (lower deck). The bridge was blown during the Solaris Riots on 3062, broken so much that water was able to enter in one of the under-river tunnels. The Solaris Exchange - Located between Haven Street and Minnesota Way. As this city is where all Inner Sphere currencies can be found, this place is where brisk business, most cases in the real of foreign-currency speculation, is done. The Solaris Times: The city's largest newspaper, located in a Baroque structure with a clock tower. Bordering sensationalism (but never at tabloid level) the newspaper is published morning and evening, in both flat and Tri-vid formats. Death or injury are not uncommon fates for reporters who push too far.It is located between Victory Way and James Street. Solaris Hilton - Located between Victoria Way and the Solaris Spaceport, this is the city's prime hotel and the most expensive. Its restaurant, The Amber Garden, located in the main floor, has been described as a four-star restaurant with five-star prices. This is the hotel where visiting nobles, famous MechWarrirs, wealthy merchants and other Inner Sphere elites will come. Security, enforced by Aldo Riesfield is very strict. The Solaris VII Spaceport. On 3059 the first thing visitors see is a replica of the Gunslinger 'Mech, standing three meters tall (only a fourth the size of the actual, but still towering) over the crowd. The Star League Dome - Located where Rovinson Avenue meets the Solaris River was supposed to be the new Class Six Arena. The building existed from 3065 to 3068 when it was destroyed by the Word of Blake. Thelos Auburn Grove - Located between Shift Shore Drive and the Solaris River, it is a semicircle of trees that features a statue of Thelos Auburn, late court historian to House Steiner. The Grove was destroyed in 3065 to make space for the Star League Dome. The Solaris Tourist Bureau is located between Fir Street and New Avalon Street. The Solaris Tower - Located between Apollo Street and Minnesota Way, it is a monument topped with the symbols of the five Successor Houses, it was built as a tribute to the fighting spirit of Solaris VII. Its views are incredible. White Bridge - This is a reverse suspension bridge that connects Silesia and Montenegro. The House Davion sector is a study in contrasts, with the uphill mansions butting against the slums of the Lowlands (situated in the northeaster section of Black Hills) to the east, where crime runs rampant with the authorities unable to do anything. The local police department is well-staffed, including a lance of light 'Mechs for civil disturbances. Popular points of interest include the Sun and Sword Hotel, the Silver Swan restaurant and Running Fox Country Club, though the biggest draw for tourists is the Boreal Reach arena, the most popular of the five Open Class arenas. Some streets on that district are Bunyan Street, Twain Street and Bunyan Road.Sunnyside Drive, Frances Avenue and Victory Way are the major thoroughfares crossing from the International Zone into the Black Hills sector. The rich live in the tony neighborhood of Hazelwood Heights up on the hill, while more modest accomodations can be found in Hazelwood Flats. All Saints Cathedral - Sometimes called All-Saints Cathedral, it is located between Sunnyside Drive and Halloran Street, this is an Anglican shrine and a masterpiece of Gothic architecture (discordant with the rest of the Black Hills designs). The most known internal feature is a portrayal of David and Goliath where Goliath seems modeled on the AS7-D Atlas. The church is maned by Father John Cooper specializes in counseling MechWarriors and those involved in the games. Barchetta House - The best known and most active auction house in the Inner Sphere dealing with the sale of equipment from bankrupt and disbanded mercenary units, Barchetta House earns well over 550,000,000 C-Bills within its standard four-month operating period. The Black Hills Urban Combat Zone, created after the Jihad from a piece of the sector that was not repaired  and centered around the ruble that surrounded the New Avalon Technologies. Blue Hills Mainline MechWarriors - Located between Pine Street and Ash Street, this is a brokerage house specialized in F-C warriors owned by Una Bradley. The Open Class arena Boreal Reach, located between Marx Way and Foster Road. Callista's Bluff - Located between Stallman Street and Hanse Davion Drive, this is the home of Fiona Loudon, White Hand Stables stable master. The house includes a 'Mech bay in the rear that can accommodate two BattleMechs and a practice field for training (where 'Mechs cannot run or fire their weapons). City Tours - Located between Princeton Street and Halloran Street, it is home of the company that organizes Wheeled buses to carry tourist throughout Solaris City. Davion Arms - Located between Frances Avenue and Hanse Davion Drive, is formed by a group of high-class condos that house numerous wealthy Davionists. Davion General Hospital - Located between Porter Street and Halloran Street, this is the hospital on the Davion district, and does not discriminate about its clientele. First F-C Bank - Located between Preslynn Street and Hanse Davion Drive, this is the first bank from F-C citizens. F-C Broadcasting - Located between Princeton Street and New Avalon Street, this is the single largest broadcasting company in the Inner Sphere. F-C News Service - Located between Greemway Avenue and Halloran Street, this is a print media company that produces most of the popular sports reports in the Inner Sphere. Federated Commonwealth Information Center - Located between Fontaine Street and Halloran Street, this is the place to get information on the Federated Commonwealth. The most friendly service among all similar ones in Solaris, they are even known to help those trying to get citizenship. Federated Commonwealth Police Department - Located between Sunnyside Drive and Hanse Davion Drive, this structure houses a thousand of police officers and support vehicles, including a lance of recon 'Mechs modified for crowd control. During the time of the Federated Commonwealth dispute between Victor Steiner-Davion and Katherine Steiner-Davion there were several riots and the police was much more active than in any other time. Freedom Gate - Located between Winchester Street and Halloran Street, is an elaborate archway crowned with the Davion sunburst was built in 2892 to commemorate the Federated Suns' victory over House Kurita on Robinson. The monument is periodically defaced by Kuritan or Liao graffiti. Green Mansion - Located between St. Helens Avenue and April Street, it is home of Drew Hasek-Davion, Blackstar Stables owner. The house is a garish dwelling set on carefully manicured grounds. Guzman Park - Located between Halstead Street and Autoni Street, it is a heavily forested park with winding trails, fountains, tennis courts and several soccer fields. After dark the place becomes quite dangerous as there have been several turf battles between various slum gangs. Hanse Davion Medical Center - Another hospital in Black Hills. Luxury Transport - Located between Fountain Street and Hanse Davion Drive, this is the company that sells speeders, ground cars and hover-cars to whomever can buy it. The company has several contacts with stable masters, nobles and even the occasional crime boss. The company is owned by Daniel Drake. Marina - Located between North America Street and the Solaris River, is the place where wealthy Davionist docks their yachts and houseboats under the security of mercenary guards and their speedboats. Mirabilis House - Located between Sunny Drive Street and Hanse Davion Drive, this is the house of Count Victor Danning from Doneval II and his wife Amanda. 'Mech Sales - Located between Winchester Street and Garibalo Street, it is owned by Roger Epstein, known for his negotiation skills. The company sells high-quality rebuilt 'Mechs. New Avalon Technologies - Located between Regency Street and New Avalon Street, it is a company that sells from first-class sidearms to almost any BattleMech weapon system. Known to sell with discount to warriors who bear F-C colors, they sell to everyone. The Solaris office is led by Vice President David Tebbits, a ruthless man known to resort to freelance investigators to look into the affairs of his business rivals. New John Carter Tower - An office building where Freak Show Entertainment had their central headquarters. Seventh Heaven - Located between Minos Drive and Hanse Davion Drive, the Seventh Heaven is primarily known for the amount of techs that hang up there. Strangers are accepted, but it might get quite complex if not nightly impossible to get information from them. Legendary technician Gerry Rambaldi has said he considers this bar his second home. Mass Transit - Located between Stallman Street and Hanse Davion Drive, this is a mass transit depot. Starlight House - Located between Minos Drive and April Street, is the home of Tran Ky Bao, Starlight Stables stable master. The house is in fine condition and its groves of cherry trees herald the brief Solaran spring with their blossoms. The New Avalon - Located between Arbogast Street and Halloran Street, it is a very luxurious, snobbish and pricey restaurant owned by Rex Simmons. Only MechWarriors can expect a fast service. The Seven Deadly Sins Stables stablehouse - This is the place where the stable can hold their 'Mechs, private rooms and the spare's warehouse. Sortek Building - Located between Beane Drive and Halloran Street, it houses the administrative offices for the Black Hills. The Running Fox Country Club - Located between St. Helens Avenue and Raglan Street, it is a very exclusive country club named in honor of Hanse Davion features a luxuriously appointed clubhouse, and an 18-hole golf course, and a fully equipped bar and trivid theater for viewing the games. The Silver Swan - Located between Bane Drive and Halloran Street, it is probably the most exclusive dining establishment in Solaris City. Interiors has been defined as nothing short of decadent, but food is excellent though expensive. This restaurant is a very popular spot for nobles. Maitre Alphonse Wrigley is known for his unerring sense for detecting interlopers and is quick to have any imposters ejected. The Sun and Sword Hotel - Located between Wheaton Street and Halloran Street, this is the Davionist hotel. 30 floors of luxury rooms with suites named for famous members of House Davion. Niles Chelsey is the Hotel manager, known for his pro-Davion views (Davion, not Federated Commonwealth). The 20 April 3056 a fiery explosion took the top floor killing several people, among them Galen Cox. Viewpoint - Located between Laurel Avenue and Robinson Avenue, it is a vantage point that looks over the whole Solaris City and the rolling woodlands beyond. Winged Victory - Located between Halstead Street and Amel Way, it is a Fourth Succession War memorial that portraits an angel armed with a sword. It lists Federated Suns victories etched around the statue's cylindrical base. The House Marik sector was originally an abandoned industrial zone when it was given over to them during the Reconstruction period, and while it has rebounded since then echoes of that past remain with large areas of ruined factories and slums. This past was incorporated into the sector's Open Class arena, The Factory, built out of a decrepit manufacturing complex and numbering among the most popular of the open arenas. The zone's nightlife is another attraction, with establishments like Hanger 66 and The Riever drawing tourists and locals alike. The imposing Marik Tower implies a strong, central authority in the zone but, mirroring the League's politics, reticent provinces maintain their own offices separate and in defiance of this ordnance. Crime is rampant thanks to the most inefficient of Solaris City's independent police forces. It is considered the ugliest district in the city. There are four well known neighborhoods within Montenegro. The Allman District, located in southeast section of Montenegro, is the common people's residential area with few parks or amenities. Residents tend to unite themselves by their own national ancestry (Andurien, Orientan, Regulan, Silver Hawk and so on). The Grey Industries, located in east section of Montenegro, was originally the offices of a now-defunct Solaris corporation. Only squatters and poor tenants live here... well, and also the Red Cobras triad whose headquarters is located here. The Riverfront, located in south river section of Montenegro, is full of burned-out warehouses and the twisted remains of dock and loaders where crime also runs rampant. Finally the Wasteland, located in northeast section of Montenegro, located beyond The Factory arena is a deadly jungle of abandoned manufacturing plants, warehouses, foundries and offices where only the dirty poor or homeless live. This is a good place to hide, though residents guard jealously their space and killing others for their valuables is not that unheard of. Andurien Block - Located between Kemper Street and Marik Street, this squat and ugly building is the site of Andurien autonomy and defiance of central authority. The Black Lions - Located between Adman Street and Ralston Street, this is the home of the Black Lions Cooperative. This is a run-down tenement with a clubhouse with somewhat spartan accommodations. The tenement includes a large 'Mech bay that can service two 'Mechs in the main floor. Brit's - Located between Hills Boulevard and Conde Street, it is a working class bar, were patrons are expected to leave their weapons at the door. The local is owned by David Weinstein, a former MechWarrior with several contacts throughout Solaris, both legitimate and underworld. Bromley Estate - Located between Caracas Avenue and Williams Street, is a green island amid the industrial zone, this is the house of Thaddeus Bromley, master of Bromley Stables. The condo is walled and heavily patrolled. The Cockpit - A quiet place where customers could get a drink and relax after a long day. It was dark, but dark-warm, not dark-seedy. A fire danced merrily in one corner of the bar, lending the place the smell of cedar smoke. People sat at intimate tables and booths. Danner's Spare Parts - Located between Stelm Street and Via Dolorosa, it is one of the best houses to find salvaged of refurbished 'Mech parts, and known to deal with small stables and independents such as the Black Lions Cooperative to which is next to. The shop is owned by Theodore Danner an excellent scavenger. Devall's Scrapyard - Located between Hostam Street and Skully Street, this is the final destination of many destroyed BattleMechs. Broken MechWarriors pay to search something useful there. Owned by DeVall, the place is also an excellent place for clandestine meetings (after paying to DeVall). Earthwerks-FWL - Located between Sadd Al Barani Street and Caracas Avenue, this is an investigation center from Earthwerks Incorporated. Operatives from the company investigate the tactics, tapes and IR analyses of each Solaris fight and use it to improve maintenance techniques . The Open Class arena The Factory, located between Drum Street and Montenegro Street. The Five Princess - Located between Lafayette Street and Bohemia Street, though it is the best hotel in Montenegro the exterior building is ugly as it started his life as an industrial office building. On the inside it is an attractive combination of brick, metal and wood, full of lush greenery, pools and waterfalls. Free Worlds News Service - Located between Sadd Al Barani Street and Roma Street, this is the center place for various print publications and broadcasts news with Marik slant. There are two quite renown reporters, Cal Helmway and Sharona Avner, both very critic with the F-C corruption while not by any change with the one done by House Marik and House Liao. Free Worlds Theater - Located between Arthur Street and Mehmet Street, here every night different entertainments are offered, most often live theater, trivid movies, 'Mech fights and concerts. Greenway Park - Located between Sadd Al Barani Street and the Solaris River, it is a long and continuos park that goes from the Marik Tower to the reaches of the river. The park gets degraded the nearer of the river you get. Hangar 66 - Located between Reisman Street and Pender Street, though a bit rougher around edges, Hangar 66 is second only to Thor's Shieldhall as a well-know haunt of accomplished MechWarriors. Hangar 66 attracts a similar crowd to its Silesian counterpart and as well as MechWarriors who feel like cutting loose and frightened their actions would be frowned upon in the sacred halls of Valhalla. The local is owned by Val Halloran, who is known to allow MechWarriors considerable latitude as they are an attraction to most of the visitors. Home Guards Club - Located between Marik Street and the Solaris River, this is an elite social club formed by formed or retired member of House Marik's Home Guards so members can relax there. Full membership is not easy to get. Horziba Manor - Located between Peace Street and Yamamoto Street, this is a high-rise housing on Montenegro. Apartments are small. Kinebatu Travel - Located between Drum Street and Ralston Street, this is a front to hire mercenary Jumpships and Dropships. Marik Tower - Located between Kemper Sadd Al Barani Street and Lafayette Street, it is a brand-new building of glass and steel with the Marik eagle proudly displayed over its main entrance. The Montenegro civic authorities have their offices here. House Marik authorities want all the Marik member-states to maintain their diplomatic and government offices here. On 3051 Andurien is still resisting. Melway Fountain - Located between Sadd Al Barani Street and the Solaris River, this is a central water column surrounded by several small water jets, that creates a random dance of waters that change every moment of the day. By night this effect is enhanced by colored lights. Montenegro Water Works - Located between McKean Street and the Solaris River, this is the station from which Montenegro and much of Southern Solaris City gets its water. Ratchell Refinery - A vent gas Refinery near International Street. The Riever - Located between Sejour Street and Alpin Francais Street, this is a bar where pilots come to relax. The bar is decorated by a full-size mock up 100-ton Marik Riever fighter hanging from the ceiling. Non-pilots can expect ribbing. The local is owned by Rico San Lucas, known for turning a blind eye when his pilot patrons do something illegal. Sandway Building - Located between Bolivar Street and Ha Yehudim Street, this is a block that houses several corporations on Solaris. During the Star League era it was home of Sandway Corporation, but today it is a low-income housing site. Word on the street say that down-on-their-luck MechWarriors have formed a mutual-protection ring to protect them from marauders. Shadows Downs - Located between Roma Street and Alpin Francais Street, it is home of Andrew Fitzhugh, owner of Fitzhugh Stables and Andurien supporter. Since his purchase he has converted it from a run-down estate to one of the most beautiful in Montenegro. Solaris Highway - This is a Highway cutting through Montenegro on the north side of the Solaris River and passing through the middle of Cathay on the south. Stewart Inn - Located between Arthur Street and Marik Street, this is an Inn full of authentic decor and pleasant staff owned by Margaret Stewart. There is a Solaran joke saying that only Socttish cuisine is served, the menu is excellent. Sutter Warehouse - Located between Renne Street and Skagway Street, this seems an abandoned warehouse from the outside, but in reallity this is one of Mafia's Bertolli Family hide-out. This is one of the major trans-shipments points of the family, always defended by thugs ready to eliminate unwanted visitors. Von Tripp, INC. - Located between Unim Street and Solaris Highway 1, this is the best broker agency for Marik MechWarriors owned by Anton Von Tripp. The House Kurita sector existed in something of a limbo for most of its history, after Urizen Kurita turned his back on Solaris City in response to SLDF Gunslingers turning the tide against Kuritan ronin in the First Hidden War. On 3051 this district is considered the most beautiful and safest of the Solaris City ones. There are two well known neighborhoods in the district. One is the Kobe Slums, located north of Kobe, in which hosts those citizens who live in poverty and where slum gangs, yakuza and triads and tongs run rampant, though when any problem arises security forces are almost always there in force. The other is the White Lotus District, located north of Kobe, where homes are little short of palaces and it is the safest in the city and where streets are kept spotless and with security patrols on near-constant detail. Kobe was finally recognized by Theodore Kurita in 3056, revitalizing the sector's economy as it could once again (legally) broadcast matches in the Combine. The sector's slums are tastefully hidden behind tall trees and hills, allowing tourists to visit the open-air Kobe Theater, stay at the Hotel Dragon or relax in the War Memorial Park without being offended by such sights. In competition with Monenegro's for second-most popular open arena is Ishiyama, a man-made mountain which looms over Solaris River. The Bamboo Palace - Located between Pullman Street and Minoru Kurita Street, it is a luxury hotel popular with Kurita tourists. It is also the place where stable masters bring in promising MechWarriors from off-world. Cramer Associates - Located between Heller Street and Styx Street, this is a 'Mech broker house owned by Theo Cramer. On the surface this seems to be an honest 'Mech broker firm that charges reasonable fees. What people does not known is that Theo Cramer is also a member of the Bertoli family. DeLon Estate - Located between Millers Street and Galedon Street, this is the home of Thomas DeLon, head of DeLon Stables that resembles more a military base than an estate. Draconis Combine Dormitory - Located between Kessel Street and Yamato Street, these spartan accommodations that include though a full-service gym and a cafeteria where those who fight for the Combine on Solaris may life for a minimal cost, regardless of stable affiliation. Draconis Combine Equipment Liaison - Located between Kessel Street and Takashi Kurita Street, this is the place where House Kurita showcases Combine military prowess. Here used, obsolete or surplus BattleMechs are sold to pro-Kurita stables. The Dragon Arch - Located between Theodore Street and the Solaris River, these are twin pillars entwined with elegant dragons and decorated in brilliant red and yellow, it is considered the gateway to Kobe. Security is always patrolling it to ensure no vandals or loiterers attack it. The Dragon Arch was destroyed by Garrett and his Clan Smoke Jaguar colleagues during the Solaris Riots on 3062. Hotel Dragon - Located between Kessel Street and Theodore Kurita Street, it is the finest hotel in Kobe. It only works for Kuritan and Marik citizens (payment in K-Bills only). Food rivals that of the finest restaurants in Solaris. Government House - Located between Dahar Street and Theodore Kurita Street, this is the official residence of the Kobe governor as well as the center of the civil administration for the sector. The governor in 3051 is Daimyo Yao Kinebate. The building is detroyed during the Jihad, though most probably reconstructed after its end. Indrahar Memorial Hospital - Located between Unity Street and Luthien Street, this is a first-class hospital that cares primarily for rich patients as well as Kurita MechWarriors whose expenses are paid by the Combine government. The Open Class arena Ishiyama, located between Galedon Avenue and Minoru Kurita Street. Kobayashi Towers - This is the tallest high-rise in Kobe. Yakuza Boss Ito from Hamagachi clan has his official residence here. Kobe Security - Located between Legion of Vega Street and Hehiro Kurita Street, this is home of the district security, and able to house 500 security troops with armored personel carriers and BattleMechs. The district security officer is Commander Miramatu Tokodana. Kobe Temple - Located between Robert Kurita Street and Minoru Kurita Street, this is one of the most impressive buildings of Solaris. This is a temple known by its twelve-meter-tall gilded Buddha. Kobe Theater - Located between Takiro Kurita Street and Minoru Kurita Street, this is an open-air auditorium, site of kabuki, noh and other types of drama during spring and summer. The Marauder - Located between Unity Street and Yamato Street, this is a watering hole for the lower rungs of Kobe's society, where it is very easy to find thugs, gangster, yakuza and triad members. Gossip says this is also the place where anybody can hire individuals of questionable character to carry out criminal activities. Several bouncers heavily armed ensure nobody can enter the establishment armed, and also cater for security inside. The Paradise - Located between Dragon's Dove Avenue and Theodore Kurita Street, this is an elegant restaurant near Hotel Dragon that holds private rooms for special meetings. Owned by Quan Chih takes great pains to maintain the best staff available.. The place is full of rich hardwoods and authentic Japanese antiques imported from Terra itself. Phoenix House - Located between Jerome Blake Street and Ragoshima Street, this attractive mansion is the headquarters for major yakuza activity in Kobe. Shinto Temple - Located between Dahart Street and Mallory Street, this is a temple that boast shrines, gardens and places for meditations is one of the oldest buildings on Solaris CIty, being there since the founding of the city. Silver Dragon Grove - Located between Unim Street and Galledon Street, this is the house of Anna Nevil, matriarch of the Silver Dragon Stables. She did bought it in 3030, from a bankrupt nobleman and enhanced it, adding manicured grounds a making the mansion spawn, and a closed circuit trivid. The Snowbird - Located between Dragon's Dove Avenue and Mallory Street, it is a popular hangout for MechWarriors and for stable masters looking for new talent. Drinking is the top seller, but food is also served. 'Mech matches can be seen here, but as a house rule, loud or boisterous behavior is frowned upon. Tanya Childress manages the place, which is owned by several Kuritan businessmen. The Swallow - Located between Jerome Blake Street and Theodore Kurita Street, it is a restaurant famous for its seafood and Southeast Asian beef noodle soup. The place is actually a front for the Heavenly Warrior triad. Takeo Shinden Estate - Located between Cunningham Street and Shibokawa Street, here the retired DCMS Mechwarrior of some renown Takeo Shinden lives. This is a walled and heavily patrolled estate said to contain several valuable art works as well as classified information on the DCMS. Tekshop - Located between Cadiz Street and Ozawa Street, this is a small shop operated by technician Amo Lee crammed with bits of electronic gear, scraps of metal, discarded computer parts and more. This is nevertheless one of the best places to pick a tech in Kobe, and Silver Dragon Stables has it as its particular favorite place. Theodore Kurita Building - Located between Pillar of Gold Street and Luthien Street, this high impressive building is home of most of the offices of 'Mech brokerage houses and major Kurita corporations on Solaris. War Memorial Park - This park is a tribute to fallen Combine soldiers. It consists of a simple slab of white marble listing dozens of major battles and casualty figures from each. The monument is surrounded by a park containing tea gardens and Buddhist shrines. Waterfront - Located between Minbusho Street and Hehiro Kurita Street, the place is full of shrines, parts and statuary line, it is patrolled by Kurita security forces. That peace meetings between crime leaders happen here is not unheard of. There is a street named Maximillian Liao Avenue, named after Maximillian Liao. Amida Buddha Hospital - Located between Liao Street and Hsien Avenue, this is a hospital staffed by Buddhist volunteers. This hospital caters for those unable to pay for their medical treatment. The Bitter Pool - Located between West Way and Kung Street, this is a dingy bar that offers numerous cheap intoxicants and brief companionship. Shad Greenville, ruthless triad leader and his bodyguards make huge profit with this local. The Brass Lily - Located between Tsinghai Avenue and Kung Street, it is located in the Maze. Advertised as a place where residents can seek refuge from violence and ugliness, it actually hides the center of the Hundred Swordsmen. The place is a virtual fortress, full of cameras and alarms. There is also an underground bunker to host the Triads operations. Capellan High Court - Located between Torquil Street and Lio Bang Street, this is the place where Capellans prefer to try their own criminals, and here is where the low level criminals end, as gang leaders and high-level criminals prefer to simply grease palms to avoid trials. Sentences are harsh, and security is hard, with an underground cell complex considered escape-proof. Capellan War Memorial - Located between Chu Street and Sian Avenue, it was constructed after the Fourth Succession War this monument depicts a bloody but unbowed Liao MechWarrior pointing an accusing finger west towards the Black Hills. The names of dozens of Capellan warriors who died heroically are inscribed on the statue's base. Even on 3051 loyal Capellans still leave flowers in honor of the fallen heroes. Cathay Battlemech Bay - Located between Nova Street and Weymouth Street, it is a well-guarded and vast structure that can house up to 30 BattleMechs at one time is maintained by the Liao government that allows major Liao stables to use it for free. Cathay Security Headquarters - Located between Chuhai Avenue and Canis Street, it is a Grim and brooding building. The control center of Cathay Security can hold up to a thousand operatives with their equipment (from small arms to BattleMechs). The Cobalt Coil - Located between Angel Avenue and Sorrenson Street, it is a tavern located on the border between the poor and middle-class section of Cathay, it is a place where 'Mech jocks, pilots and techs gather to exchange information and tall tales. It was made famous by a set of semi-factual stories published under the title Tales of the Cobalt. The Crane - Located between Confederation Avenue and Al Nair Street, it is a very expensive restaurant that only accepts L-Bills. One of he favorite haunts of triad leaders, Capellan nobles and hot young MechWarriors where non-capellans can expect to be kept waiting for quite awhile. The Docks - Located between Rivoli Drive and the Solaris River, where some of the food, luxury items and other goods are offloaded. Dragon House - Located between Drake Street and Phung Street, this is a place that people might think is like any typical gambling house in Cathay, but it is not exactly the case. Like in other ones, cheap liquor and opium are available for the patrons while they play traditional games of chance or bet in BattleMech contests via an expensive tri-vid system illegally tapped into SBC transmissions. What makes it special it is that it is not aligned with any triads or yakuza, which are kept at by thanks to the hired muscle that the brothers Vijay and Kalish Ramajiva pay with the big profits the house gives. The Glass Tower - Located between Confederation Avenue and Chandler Avenue, it is a very elegant condominium residence located in the Chancellor's Quarter known to house several triads leaders. Security is so tight that those leaders know that they are safe from each other. The Open Class arena The Jungle, located between Canton Street and Beijing Way. The Kirin - Located between Honer Street and Ralston Street, it is an opium den for the most addicted. The local is owned by the Red Cobra triad and under Li Ban's management. It was recently attacked by the Hundred Swordsmen and several Red Cobra died that day. Macami's Place - Located between Tsinghai Avenue and Alexander Street, the place looks like a ragtag second-hand shop, but the reality is very different. The place is run by Guire MacAmis, and it is one of the best pirate weapon and contraband shops in Solaris City. The Perfumed Garden - Located between Portobello Street and Al Nair Street, it is an expensive brothel used by several prominent Liao officials. Only Capellan citizens and their guest are admitted. Only unusual requests will need additional money that the ones paid as gate fee. There is a place where patrons can eat, drink and converse. The rooms are decorated with an exquisite sense. Madame Mai Shi, a known court beauty on Sian and rumored to be one of Maximilian Liao's favorite concubines runs the establishment with an iron hand. She is 60 years old on 3051 and still shows considerable beauty and charm. Raven's Roost - Located between Wazan Street and Canis Street, this rundown bar and rooming house is the headquarters for the Bertolli family on Cathay. The second floor has been fortified because of this, and to increase security, Ivan Toviesh, the manager of the office enforces a no-weapons policy in the establishment. Security Station - Located between Maxmillian Avenue and Beijing Way, it is a heavily fortified post in the slums of Cathay, with bunkers beneath the security stables which can hold BattleMechs, even repair them. The Sesame Inn - Located in Middle Town at Torquil Street, this St. Ives Compact financed restaurant is considered by many the best in Cathay. The place was owned and run by George Yang, and expatriate from Sian. The Strand - Located between Capella Street and Chandler Avenue, it is considered the most beautiful and exclusive residence in Cathay, located in the Chancellor's Quarter where the wealthiest in Cathay live. Over 70 floors it is a graceful white buttresses surrounded by a lush garden. Protected by a complex network of spy cameras, hidden guard-posts and alarms, Cathay's criminal element considers a badge of honor the theft of an item from the building. The last floor is reserved for Free Capella Leadership, though for example Treyhang Liao has yet to visit Solaris VII as of 3065. Tandrek Palace - Located between Confederation Avenue and Hunan Street, this is the residence of Roger Tandrek, stable master of Tandrek Stables. A condo considered of tasteless opulence because of his humble origins. Known for his big and extravagant tastes. Zelazni Estate - Located between Adlis Street and Sian Avenue, this is the residence of Victor Zelazni from Zelazni Stables. Warrior's Hall - Located between Maximillian Avenue and Phung Street, this place is a combination of bar, restaurant, rooming-house and brothel. Admittance is restricted to individuals known to management and their guest. Prices are reasonable, thanks to donations from former clients who hit it big. Great Liao MechWarriors decorate the walls, though there is a blank space were the portrait of Justin Xiang was. Warrior's Way Brokerage - Located between Starlight Avenue and Hsien Avenue, this is a small brokerage house that matches out-of-work dispossessed warriors to disreputable or broke stable masters run by Andrea Rigsby. The House Steiner sector is known for its fashionable Upper East Side and the luxurious condos of the Riverfront District. That the Riverfront has minimal police protection and abuts the poor districts of Cathy, yet boasts one of the lowest crime rates in Solaris City, has resulted in some theories that the local criminal organizations recognize it as "neutral territory". Steiner Stadium is one of the few arenas which allows its audience to view 'Mech matches live rather than on closed-circuit tri-vids, a result of the arena's unique lostech weapons barrier. The district houses two neighborhoods with special reputations. The Blackthorne District, located Southwest section of Silesia, is full of cheap bars, gang hangouts, gambling houses and opium dens. The situation worsens near the river, even with all the effort the Lyran authorities do to keep the residential area clean and trouble-free. The other known district is The Riverside, located Northwest river section of Silesia, situated within sight of the Cathay River Town and it is the location of numerous high-class hotels and condominiums. Silesia was the most affected of the Solaris Districts during the 3062 Solaris Riots, with burning of building and looting the norm during that short period. The Armored Fist Hotel - Located between Demien Street and Dusseldorf Street, it is a popular hotel for Lyran tourist. It host a restaurant in the lobby, Melissa's. Room 807 was the place from where the Dancing Joker killed Ryan Steiner with a half a kilometer shot. Chahar Lake - Located between Lake Drive and Cholm Avenue, this is a man-made lake with a park excellent for day activities, though at night muggers and drug dealers run rampant even with the patrols by F-C security. Commonwealth Museum - Located between Ashing Street and Markham Street, this is a white Greco-Roman building that host several major art treasures on Lyran history and culture. The place is heavily armed. The Copper Coin - Located between Kübler Street and Alsa Street, this is a combination of bar, restaurant and casino, known for cheap food and watered drinks, owned by "Shades" McCabe. The Crimson Voodoo Stables manor. It was a Succession Wars era munitions factory that was converted and remodeled completely. The lower levels are used as 'Mech bays, machine shops and vehicle garages. In the second floor it is located the stable's business offices and conference rooms. The third floor contains a cafeteria, a recreation room and a gym. The last three floors were remodeled as apartments for the Stable's MechWarriors and other personnel. Falcher's Repair - Located between Steed Avenue and Herd Street, this shop is managed by one of Solaris' leading techs. Known to be able to work miracles repairing, modifying and jury-rigging 'Mechs. The wait list on 3053 was at six months. Located in Upper East Side of Silesia, the shop owned by Ewen Falcher is known for being able to perform miracles on their work... though at an expensive price. Fujima's Mech Bay - Located between Roger Street and Ridgeway Avenue, this is a facility able to hold 24 BattleMechs, where repairs and resupply are available to all, but Lyran MechWarriors receive a discount. The place is owned by Carlos Fujima. The Grateful Burger - Located between Barer Street and Liszt Street, this is the place for the bohemians, counter-culture poets, authors, philosophers, game designers and similar, that serves products from small and obscure breweries along with traditional Terran-American cuisine. Among the clientele there is the Deadhead cult (a very secretive group). The restaurant if run by people fitting the type of clientele they have, and whose "lider" is "Sunshine" Talbot. Hollis Security - Located between Goethe Avenue and Pauling Street, it is the top security firm in Silesia that hires from lightly armed guards to armored lased-armed security troops. The company was created by Vincent Hollis, and now his nephew Vincent Hollis III is running the business with great efficiency. Future looks grim though. Future leader will be his son Vincent Hollis IV, known for his issues gambling, who might easily fund his addiction with company money and ruin it. The Ice Giants Stables facilities - This building was an old factory complex on the edge of the sector, near the river that was used as their base. One warehouse works as the 'Mech hangar and repair bay, while what was the main factory now acts as a training area. The living quarters are basic as they use the old worker's quarters. The place is heavily guarded with plenty of armed KungsArmé veterans patrolling the place. Garth Anderson (the Stablemaster) lives at the complex, leaving only to arrange matches, give interviews, or attend parties. Isher Weapon Shop - Located between Baldur Street and Dusseldorf Street, it is a personal weapon company that limits its sale of weapons to those who can prove citizenship in Lyran space. Kubler Street Gun Club - Located in Kübler Street, this is an organized crime protected gun range. Legal weapons only are allowed in the main floor's shooting booths and marksman range, but the considerably more more expensive and private rooms and ranges of the lower floor reportedly do not have such restrictions. Twenty C-Bills an hour for the main floor cubicles with paper targets. Fifty C-Bills for a private shooting corridor, and two hundred for the marksmanship range (with a long waiting list). Prices and what can happen in the more private rooms and the ranges in the below level is only known to those that pay for them. Larsson Clothiers - Located between Munchenstrasse and the Solaris River, it is the place where the elite Silesia society come as the owner, Gunnar Larsson, is considered the finest tailor in Solaris. The Lyran Building - Located between Dusseldorf Street and Munchenstrasse, it is a grim and gray structure showing the armored fist of House Steiner is the place where Lyran bureaucrats administer the sector. Lyran Theater - Located between Waller Street and Siebert Street, the theater host the best in contemporary drama and classic opera, though in summer it hosts a Shakespeare festival. No 'Mech games are even displayed on stage. Murdock Brokers - Located between Goethe Avenue and Dalban Street, this is the leading Steiner 'Mech broker firm owned by Gabrielle Murdock, which has recently been able to match hot MechWarriors to the Overlord Stables. Nashan Diversified - Located between Roger Street and Dusseldorf Street, these are the local offices of the mammoth Lyran corporation, located at Roger and Dusseldorf Street, and that is used to field-test the firm's new targeting systems and computers. The building is heavily guarded. The Officer's Club - Located between Barer Street and Petersburg Street, this is a place where officers of the Lyran military may stay for a small fee. The accommodations are spare but comfortable, though the dinning room and the library are above the line. Parmus Estate - Located between Hesperus Avenue and Ridgeway Avenue, this is the house of Jarvo Parmus a nobleman known to dabble in 'Mech fighting (and being himself a former Mercenary) with the lookout of a medieval castle. Some out-of-work MechWarriors have been financed by him, though he has never founded his own Stable. The Riverside Hospital is the Silesian most known hospital. The Scorpion - This is an "underground" club mostly hosting MechWarriors and ranking stable members opened around 3064. The Sea King - Located between Dusseldorf Street and Thurman Place, this is a restaurant serving all kinds of seafood from across the Inner Sphere, though its specialty is the Solaris snapper served Cajun-style. The restaurant is owned by Wallace Simms, known for his little tolerance for failure. Shrimpton Gallery - Located between Landswehr Street and Pauling Street, this is a private gallery that specializes in 'Mech-oriented art on Davion/Steiner inspiration. The place is well protected with alarms and security guards. Darmon's - This is a restaurant located inside the Skye Mall that occupies part of two floors. Decorated with Bavarian motif and with larger murals of mountainous landscapes in all walls while also displaying animal heads and antique firearms. The staff is also dresses in traditional babarian costumes. In 3064 it was said to give the best food in city. Steiner Park - Located between Siebert Street and the Solaris River, this is pleasant green pack displaying several status of celebrated individuals from Lyran history and located near the Lyran Building. The Open Class arena Steiner Stadium, located between Luisen Street and Petersburg Street. The Swooping Crane - Located between Kirchner Street and Lake Drive, this is a Schwarz restaurant of some note that is actually a front for the Hundred Swordsman triad. Around 3051 a raid by a Blood gang ended with several deaths, but no official investigation was done as when the authorities arrived all evidence has been hidden. The Tamar Domains - Located between Douglas Street and Alsa Street, this is a hotel similar to the Fist and they are both rivals. It is managed by Eusabio Birkin, who has been accused of damaging the image of The Fist to attract customers. Vernon Singh Mansion - Located between Brienner Avenue and Cholm Avenue, this is the walled estate of Vernon Singh, head of Lion City Stables. The house is decorated in middle-eastern style. White Pine - Located between Lake Drive and Channing Avenue, this estate is owned by Rhianna Murray, owner of the Overlord Stables. The house has a new-Victorian design with elements of 19th century English art and architecture. This is the place to set all Locations which belong to Solaris City but have not an specific Neighborhood. The facilities for Gilgamesh Stables. The facilities for Innovative Design Concepts. The facilities for Omnitech Industries. Lion City - This is the nickname of the training grounds belonging to Lion City Stables. The buildings and surrounding areas are suffering for the cash-flow shortage the stable has been experiencing. It is located west of Solaris City. Pete's - This is a popular restaurant with a loyal customer base. The menu is considered "classic Italian" with an outstanding quality. Silverlake Customs - This is a 'Mech firm specialized in 'Mech customization. Sportsmen's Club - This is the Club where the gamers of Solaris VII (the owners and agents who made the world work) go. The facilities for Starlight Stables consist of a building where in the base there is a small arena, barracks and a underground repair bay for modifications on the 'Mechs. Vladivostok - This is a big office building with looks over Montenegro across the Solaris River. This puts the place between Silesia or Cathay. Wolf Creek - This is the facility belonging to White Hand Stables. Zelazni Training Center - this is the training facility from Zelazni Stables, located river west of Solaris City. The facility includes advanced training simulators, a well supplied repair bay and also space for personal on vacations. The following zones of Solaris City are considered The Reaches. During the Star League Xolara was part of the heart of the City's industrial zone, but the collapse of the Star League triggered a spiral of decay that culminated with the Marik nuclear bombardments in 2903 as it levered entire neighborhoods and destroyed what had been called a model of urban planning. Toxic wastes combines with radioactive residues converted most of Xolara into death zones. But life is hard to kill and during the past 300 years life has returned to Xolara... but not equally, some 'Mech design and production firms have returned returning live to some neighborhoods, while in other places of Xolara, gangs and thugs reign among the ruins, unchecked by any kind of authority. There are four neighborhoods with more fame than the rest on Xolara. Amberton Quarter is Xolara's red-light district. It lies far from the area's tourist-traveled zone and few of them venture here. Neither Mafia nor Yakuza have tried to set a light to operate here though. Keego Harborton has a standard of living only slightly lower than Solaris City. The nearer the river, the more expensive they are. Northern Heights is nestled in the foothills of Solaris City and it was largely spared in the Marik nuclear attack. It has improved a lot during the reconstruction with new shopping districts and several small arenas built there. This is the most-visited neighborhoods of Xolara which makes it one of the most patrolled by the Solaris police. The Zones on the other hand was the zone of Xolara most hit by the Marik nuclear strike. Though habitable again, mostly small 'Mech shops and built facilities have returned there. Baloo's Museum - This is a tourist trap. The Baloo's Museum of the Unique and Indescribable is little more than a freak show. Shows are expensive, and the fully stocked bar is known for his watered drinks. Though full of pickpockets and muggers, Baloo still draws tourists and thrill-seekers. Beaumunt General Hospital - This is a 300 beds hospital that was built after the Succession Wars. The hospital consists of several small buildings interconnected and located on an eight-acre campus of forested rolling hills, and it is specialized in implant surgery and cancer treatment. The hospital takes its name from Dr. Hugo Beaumunt, one of the pioneers in bionic-implant rejection. There are rumors that the hospital is running illegal cybernetic combat implementation and captured Clan genetic-breeding technology. The Bismark - This is a hotel that has gone from the top to the bottom. Once a luxury hotel, not it is just a place with incredibly low rates. Gossip says that every House intelligence organization has used the hotel as staging area from time to time. Branson Brewery - This is one of Solaris’s best breweries. Their installations were damaged during the Jihad and it took the brand some time to reestablished its brand. The Brewery is the sole sponsor of the Branson Brewery League. Campray Arms - Though this is a two-star hotel, it is nevertheless the best hotel in Northern Heights. The hotel boasts an arena-viewing lounge that allows to see all matches of the Solaris City arenas and also from the King of the Mountain. The Campray is owned by the Draconis Combine and managed by Kim Yantril (though rumors say he is an ISF agent). The hotel works with the best customer available, but also has room for some yakuza, for example the yakuza warlord Otolo no Ko Peterson. Den of the Dispossessed - Colloquially known as The Den, this is an underground bar with a discotheque that attracts washed-up MechWarriors and others living on the edge of society. Lying in the ruins of an old factory, it deploys converted 'Mech cockpits as booths and its decoration is full of charred pieces of BattleMech armor line and the flags of forgotten stables. Any services can be purchased in the Den. The bar is owned by Ramos Lei (allegedly a MechWarrior of the Capellan Confederation that fought during the Andurien Secession) and her wife Francesca Lei tends the bar. The FRR Hall of Honor - This is a museum/memento for the FRR, built by several expatriates and that contains several Clan Elemental Battle Armor and BattleMech equipment. The Grim Stretch - This is a mass graveyard with an unknown number of victims from the Marik nuclear bombardment that decimated Xolara. First buried is mass graves in the field, and after that, their relatives erected several thousand tombstones and shrines at the site to commemorate their loved ones. This place is sacred to the locals and tourists visit the site to lay flowers. Prior to 3051 several companies were accused of illegally dumping toxic wasters in the area. Soon afterwards, the executives of those companies dies mysteriously. The Headless 'Mech pub, were customers can have dinner and play darts. The King of the Mountain arena. 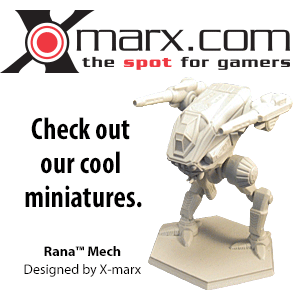 Matani's 'Mechs - This is an upcoming small firm dedicated to BattleMech customization. Memorial Garden - This is a massive park build under authorization of the Solaris Civic Council during the rebuilding effort done on Solaris that followed the Marik attack. The park is filled with statues of several famous Lyran war heroes. At the beginning it was a place full of tourists, but an increase in gang activity has converted this park in a very dangerous place once the sun goes down, with several gangs considering the park part of its turf, and they defend it. Morte's Tavern - This is a a place where a man down on his luck can get a cheap meal and a room in Xolara. It is owned by Slainte. The The Mosh Pit arena. OGS Productions - This is an holovid production company noted for the hit series The Sterling Hawks and The Scarlet Bands. Randal's - Owned by Raymond Randal IV, this shop is specialized in the creation of unique weapons custom-tailored to the buyer's desire. Locals come to this place to but legitimate weapons, and some of them have even been able to purchase Clan-manufactured weapons. The Regulus Wrath Stables facilities. Shatner's Scrap and Collectives - This is a company that has been on Shatner's family for over more than 150 years and that has continued to thrive over the years. Recently, the actual owner, Anton Shatner signed an exclusive rights contract with King of the Mountain to collect all the salvage from the arena not reserved for victorious MechWarriors. The company's scrapyard is a virtual BattleMech graveyard with parts allegedly dating back to the Star League era. Those parts which can fetch a lot of money are stored, along antique vehicles and tanks from the days the SLDF tested their equipment on the Game World in well secured places. Ten trained dog guards and two armed guards equipped with industrial Exoskeletons patrol the scrapyard at any given time. The Silhouette Stables has a walled estate in the Northern Heights area of Xolara with a very high security. Defended by a five meter high ferrocrete wall the facility is composed of a main house (that accommodates both MechWarriors and support personnel) situated at the front of the estate, while the 'Mech hangars and training areas are set towards the rear of the estate. Silver Dragon Bay - The Silver Dragon Stables 'Mech bay for repairs and modifications. It is heavily secured. Silver Dragon Hill - Located near Xolara, this is the Silver Dragon Stables training ground which contains advanced simulators. It is heavily secured. Live-fire exercises are rare as the Stable values its equipment. Solaris Police Substation - This police station is the brainchild of Solaris City Police Chief Theo Clarke after pushing from the Solaris Civic Council and Solaris City businessman to control the crime and try to contain it outside the city itself. The idea has not worked well, and riots and gang violence are boiling. The feeling that the crisis of 3053 which ended with 10 police officers dead as a similar number wounded with violence and looting everywhere is coming for a second round are common with Xolara's inhabitants. In 3086, Xolara PD chief is Steven Bov-Tyler. The Solaris Prison - Known as "Rats' Den" by Xolars's inhabitants, this is a place where gangs can easily smuggle weapons and drugs inside. Prison breaks occur regularly. This is where the Solaris Civic Council can hide the City's crime problem. Lucas Lorenzo, a former Federated Commonwealth officer is the man in charge of the prison. Southern Bank and Trust - This is a bank formed after the Fourth Succession War to finance the reconstruction of Xolara. The bank is an armed fortress to cow would be robbers. Several heavily armed guards patrol the bank at all times, an Xolara's police substation is always ready to assist the bank's security team in case of any robbery attempt. On 3051 the bank's president is Beaver Krane. Spectator Building - This is a four-story building belonging to the newspaper Solaran Spectator which covers the arenas of Xolara, Burgton and the surrounding areas. Star Heights - This is a club that caters to the handful of wealthy Xolarans and of those others seeking an alternative to the ones on Solaris City proper. The club is located in a sleek leaning tower in Northern Heights neighborhood. The club hosts a restaurant on its top with an excellent view of the King of the Mountain arena. The membership is expensive (more than 20,0000 C-bills a year) and its roster is a close guarded secret though rumors put several of the Solaris Civic Council members as members. The restaurant is owned by Barbara Byrd, allegedly the sister of Loucynda Byrd. The Vampires Stables small 'Mech-repair shop. The Wyningham - This was once an excellent hotel during the Star League, but the hotel has gone from bad to worse since the Marik nuclear attack. The family owners (the Wyninghams) rebuild the hotel, but that movement was not done by other landowners, which left the hotel without the clientele they needed. The hotel can barely keep up with their debts, and the actual owner, Turlin Wyningham has been forced to sold some of the exquisite pieces it had to keep up. The Wyren Claws Stables facilities. Xolara Arena - This is a small arena from Solaris. It has also next to it the repair bays and all needed to support the games. Xolara Arena Headquarters - These are the facilities belonging to the Xolara Arena Stables. Burgton comprises several communities and small villages spread out beyond the sprawl of Solaris City and Xolara. Minor arenas dot them, as do some small 'Mech design firms. Here gangs are free to operate as there is no police patrolling. Dowagiac - This is the oldest town from Burgton with 950 inhabitants is also one of the larger. It started as a 'Mech production center's low-cost housing for their employers. When the League died so suffered Dowagiac. Now only a handful of family-owned firms do business there. North Pier - This was known as Solaris City's wast dump. The conversion of these dump into a 'Mech arena brought money to the area and triggered its economic rebirth. Visitors now come to see the matches and even some of the monuments. Several former Free Rasalhague Republic refugees fleeing the Clan Invasion as well as some Lyrans doing the same have flooded the town. Travelers are now warned to avoid the Pier at night. Joppa: On 3050 this town was little more than a wayside bar and a munitions works. And then all changed. In 3053 the town had grown to a small and secretive community. Rumors run wild on who this group of secretive residents come (Clan defectors, outcast...). All agencies in the Inner Sphere have sent investigation teams, but nothing has been discovered on them. Kalamazoo - This is the village originated to cater tourinst visiting the crash site of the Star League- era DropShip Trident. But the past two centuries haven't been keen to the place. This town has degenerated into a den of cutthroats and killers, an unofficial assassins court for Solaris VII. Several gangs operate here. The locals also operate several small 'Mech arenas, which are really nothing more than open fields outfitted with grandstands for spectators. Drums General Store - This is a general stock store where customers can find everything from foodstuff to survival suppliers. The shop is owned by Wayne Dyr, and people says it is also a good place to find also information. Iron Fist Club - This is a private tavern that is home of a quasi-military political group called Iron Fists. The Group is formed by Lyran Commonwealth Armed Forces that despise the merger with the Federated Suns and would support a civil war to brake it. Lead by Talon Gar, a former Tenth Lyran Guard veteran, it seems they are preparing a private army to side with the Lyran would-be independents. They've become quite rich by betting and some fear is on the streets... MIIO and LIC have started to trail and have them under surveillance. Krista's Parlor - This is the one of the best and safest tattoo shop on Solaris. Owned by Angela Kristoderson, this shop has worked for MechWarrior and wealthy tourist. A high fee and the need of recommendation makes this an elitist place. O'Toole's - This is a bar and restaurant located in an basement. The place holds six massive tri-vid screens to show matches from the various arenas in The Reaches. Few tourist come because no big 5 arena matches are displayed, but locals do love the place. The local is owned by Donald O'Toole, a failed MechWarrior who is known to provide free drinks to any MechWarrior who stop there. Ryder's Modifications - This is a small company that modifies BattleMechs. Anchor Bay Brewery - This is the most well know brewery on The Reaches. Owned since the 2800s by the Cantor family, it has been able as of late to sell a lot of their brands in Solaris City with Anchor Original also very well known off-world, and with Solaran Dark and Ascnchor Lite starting to grow big off-world too. Mafia and Yakuza might have tried to extort money from them, but the loyalty of both the locals and staff is so high that they have failed all times. The Anchor Bay Brewery was destroyed within the first 24 hours of Blakist occupation of Solaris VII. Avery's on the Water - This is a 200-years old hotel that overlooks the Solaris River would be classified as a medium-quality hotel in the City proper. On The Reaches it is a luxury one. Rooms are named after famous gladiators of the Solaris circuit while the most expensive suites (named after Cabol Hirsch and Gray Noton) have excellent views on the Solaris River and direct tri-vid connections to The Scrapyard and Boreal Reach. The hotel opened a casino on 3051 and now it is also a tourist destination. Rumors day Mafia or Yakuza are backing the hotel. The Cabin - This is a tavern located in the shadow's of Avery's on the Water that only accepts MechWarriors as clients (and enforces this policy). The tavern has several reserves for private meetings. As of late 3051 the place has become a sort of recruiting place for smaller mercenary units trying to find talents from Burgton arenas. The place is owned by Ulton Farkhan, allegedly of Liao affiliation (and who has survived several assassination attempts because of his past). Kramer's Parts and Machinery - This is a small company that modifies BattleMechs. The Hombres Stables stablehouse and a small practice field are located ten kilometers north of the town. North Bridge - This is a crossing over the Solaris River. This is the only connection between Solaris City proper and the isolated Burgton communities. The bridge was build during the Star League, though years have taken its toll. A toll was stablished to cross it and the Solaris Civic Council is the one enforcing this payment. On 3051 this post is covered by inspector Thad Opel known to accept any bribe and also known for trying to extort money for the small vendors that make the bridge his place of work. Rakker's Machine Shop - This is a small company that modifies ground cars. Wastelands - Also known as Reftown, this was a site of a massive trash incinerator that with an influx of refugees has converted itself in a small community with the shelters made by themselves inside North Pier. The population is a mixture of refugees of the Clan Invasion and washed-up MechWarriors. The community has created a community center and a soup kitchen inside the old incinerator. The refugees live in extreme poverty and will do almost anything for money, like panhandle among tourist who visit the North Bridge. Their reputation among Solarans is he lowest one. The actual leader of the group os Ralf Holm who is know trying to add a pipe with drinking water and electricity to the community, a refugee from the Tamar Pact that claims to have fought besides Duke Selvin Kelswa on Tamar during the Wolf Clan attack that claimed Tamar City, though this is a claim, and several of his fellow refugees (from Rasalhague) think he is in reality a Rasalhagean like them. Barrymore Munitions Works - This is a small company that manufactures ammunition. Crossroads Inn - This is a small rooming house that has been in Joppa for decades. Since 3050 several of the inn's guest bear small tattoos of green falcons and vipers, which was the trigger of the coming of Intelligence agencies. The Huntsmen Stables Stablehouse. The deserted manor was picked as headquarters and converted into a BattleMech repair facility, with a dormitory for all the Stable personnel. The Stable uses a large field next to the manor as training grounds. Security in the compound is tight. Moon Beams Bar and Grill - This is a fixture in the neighborhood since 2950s, this restaurant/bar is one of the few places in Joppa where both locals and visitors can be found together, though they do not mix. The place changed hands and its actual owner Drake has imposed a no violence policy, which his bartender/bouncer Drew enforces. On 3051 both are new to Jopa, and they've attracted their share of speculation about their origins. Shrint's Loans - This is a private loan institution owned by Devron Shrint. The house only provides short-term loans up to 30.000 C-Bills and with astronomical interest rates, which have labeled him as loan shark. Though several of those who have failed to pay have "disappeared"", police investigation has been unable to trace those to him. Anspach Bar and Grill - This is a typical local tavern that hides its secrets in the back rooms. There it is possible to contract an assassin: from minor-leaguers, former mercenaries, retired intelligence operatives or even cold-blooded killers. Banshees Stables 'Mech Bays - This is an small building located outside the village proper. Banshees Stables residence - This is the unofficial StableHouse of the Stable. Bermard's Emporium and Antiques - Also known as The Barnyard, this is an antique shops decorated haphazardly. Owned by Stanley Gram, rumor says he has sometimes served Snord's Irregulars since 3048. The most prized item is a marble staircase originally imported from Terra to be used in the manor of a defunct stable manor for Red Wings Stables. Nobody knows where all the money the shop goes, and rumor on the street says if could be used to finance a new stable. Grawn Cemetery - This place is known among The Reaches as the MechWarriors' Graveyard. Located in a small plateau beyond the Toyama Monastery, this is a cemetery that hosts those MechWarriors that die in the Solaris Games and are not claimed. The remains of four Stinger mark the corners of the cemetery. Markers and headstones are fashioned from parts of the fallen warrior's mount. All this gives the cemetery an eerie feel of a battlefield. Since the 2700s the Grawn family has maintained the cemetery, founded basically by the donations left by the handful of tourists who visit the site. Pierce's Clothiers - This is a quality tailor shop outside Solaris City that even attracts wealthier residents on Solaris City. A two-man shop owned by Ankara Pierce, they can modify the suit for an additional cost o add a hide gun holster, a knife sheaths or even to fit bulletproof material. Toyama Monastery - This is an old Buddhist monastery that was abandoned during the First Succession War that has been during the years converted to apartments, stores... but all have failed. The building was is a severe state of disrepair when on 3051 the Word of Blake members arrived and began to restore it. Since that time, two dozens Word of Blake members leave there. The monastery name was changed and renamed after Primus Conrad Toyama. The face of the monastery is Precentor Judith Vincents who oversees it and interviews outsiders who express their desire to join the Word of Blake. Policy makes it clear that no outsides are allowed inside. Gossip says that Word of Blake are planning to field their our Stable in the Reaches arenas. The Warner Mechwarrior Academy - This is a small and not very professional MechWarrior Academy. Wreck of the SLS Trident - This is the crash site of the SLS Trident. It was a famous tourist attraction and quickly after the crash tourist started coming here, and indeed Kalamazoo was born when the first residents settled in to cater those tourist. Years were not kind to the place and vines and brush grew over the ship's burned-hull. And just when it seemed the place would be forgotten, Darryl Sabe took ownership of the place. She opened a small and private club inside the remodeled hull. Membership is by invitation only, and most of the elite on the Reaches are members. The Main Complex from the Dispossessed Cooperative is located in Burgton. Pluto's Hangar - This is a Mechwarrior Bar, that has been describer as a rat infested hole-in-the-wall. It has a large tri-vid screen to review Solaris bouts. The swamplands outside Burgton have been always a sparsely populated region of Solaris. During the Star League era it housed the massige sewarage-treatment plant, lost during a fight between two reinforced 'Mech Battalions of SLDF deserters against the Commonwealth 'Mech defenders along several small communities. Today only one arena and a few small communities of fugitives make a meager living here. Very few outsiders venture into the Bracken Swamp except those visiting the 'Mech arena. Beal City was founded more than 40 years ago by the entrepreneur Kassandra Van Beal (a pirate), and lies deep in the Bracken Swamp, hidden by dense flora and near constant mists. The village's buildings rest on stilts sunk into the shallow swampland which makes the residents traven to and from via rope bridges and small boats. The majority of the inhabitants are fugitives from Solaran or Federated Commonwealth authorities. The Highwaymen's leader, Reggie "The Red" Philburn is known to operate in this are. Because of this Solaran authorities have tried repeatedly to capture him, hence increasing his appearance in the town. Rowe, takes its name from the Arena's owner Rowe Julian. The village itself remains far from prosperous as the Arena is the only supporting business it has. Julian's descendants in a way still run the village. Most of the families either work for the Arena or a few of the related business around it. This is a rural community lacking basic municipal services, where villagers live in houses set on high stilts anchored in the marshy ground and with small boats as the only means of transportation. The Gallows - This is a bar popular as a watering hole for Beal City residents. Visitors are not allowed by the policy of Amos Zegler the owner. Two things make this place visible: three nooses painted as a reminder of three criminals hanged at the site on 3038 and a collection of hats and helmets covering the wall behind the bar. Legend says they belong to bounty hunters who tried to apprehend their targets in the tavern. Mackey's Swampcraft and Store - This is a combination of boat dock and general store that also operates as a shuttle boat service into and out of Bracken Swamp for a quite reasonable price. Owned by Edwards Jullian-Mackey it is known for his schemes against his passengers, which include fake "breakdowns" during travel time which need for big times of waiting, combined then with outrageous prices on the food their passengers need to sustain while the repairs are ongoing. Some MechWarriors found this behavior distasteful and his life might be in danger. Ruggers' Outriggers - This is a shop where new and used survival equipment can be bought. The shop also buys equipment from time to time. Prices are good. The shops is owned by Kraig Ruggers, a man with a misterious past. Tanya's Place - This is a well known brother both in The Reaches and in Solaris City because of its reputation for dealing straight, for its discretion and for the beauty of the "employees". It is owned by Tatiana Ford, who has a lot of contacts among the Solaran government and the locals, thanks in part of her generous investment of much of the earnings into the community. Vargus' Fortunes - This is the operation of Louanda Vargus a fortune-teller since 3047 with a long list of clients. Known for her uncanny knack for accurate predictions of the future, MechWarriors go there to seek any advantage they can get, and even some Stables consider themselves to be Vargus' patrons. Louanda is missing an eye, rumors say because of an unhappy customer. Larzellier Communications - This is a satellite-communications operation that broadcasts the matched from The Pool. Owned by Leticia Larzellier, she also owns the only private electric generator in Rowe. This has put her in trouble lately by Vandrake Jullian, owner of the pool on 3053 because he wants to run her out of business and buy the generator. The Saratoga - This is a combination of bar, restaurant and casino where the prices are high (because of greed of the owner, Silvia Jullian) and the games are rigged. The place is really only full on match nights, being nearly empty the rest of the time. Snorkel's - This is a small company specialized in aquatic 'Mech modifications. Banshees Stables training ground - These are several heavy secluded hills that surround Broken Swamp. Rolands fields is sparsely populated. It was part of the planet wildlife reserve during the Star League, though after its fall it went neglected. Nowadays it hosts several testing locations where Stables and 'Mech design firms can put their machines to test. Barrymore Range - This is the testing range of Barrymore Works. Blue Shot Weapons' main facility near Roland Fields. Solaris Arms Test Field - This is a private testing field used by the 'Mech design firm. ↑ 1.0 1.1 Field Manual: Mercenaries, Revised, p. 14 "The Game World"
↑ 2.0 2.1 Solaris VII: The Game World - Player's Handbook, p. 22 "Solaris Sites"
↑ Assumption of Risk"Chapter Twenty"
↑ 4.0 4.1 Illusions of Victory, "Chapter Ten"
↑ 5.0 5.1 5.2 5.3 5.4 5.5 MechWarrior's Guide to Solaris VII, pp. 70-72 "A Brief History of Solaris VII - A Tour of Solaris City - The International Zone - The Driveby"
↑ 6.000 6.001 6.002 6.003 6.004 6.005 6.006 6.007 6.008 6.009 6.010 6.011 6.012 6.013 6.014 6.015 6.016 6.017 6.018 6.019 6.020 6.021 6.022 6.023 6.024 6.025 6.026 6.027 6.028 6.029 6.030 6.031 6.032 6.033 6.034 6.035 6.036 6.037 6.038 6.039 6.040 6.041 6.042 6.043 6.044 6.045 6.046 6.047 6.048 6.049 6.050 6.051 6.052 6.053 6.054 6.055 6.056 6.057 6.058 6.059 6.060 6.061 6.062 6.063 6.064 6.065 6.066 6.067 6.068 6.069 6.070 6.071 6.072 6.073 6.074 6.075 6.076 6.077 6.078 6.079 6.080 6.081 6.082 6.083 6.084 6.085 6.086 6.087 6.088 6.089 6.090 6.091 6.092 6.093 6.094 6.095 6.096 6.097 6.098 6.099 6.100 6.101 6.102 6.103 6.104 6.105 6.106 6.107 6.108 6.109 6.110 6.111 6.112 6.113 6.114 6.115 6.116 6.117 6.118 6.119 6.120 6.121 6.122 6.123 6.124 6.125 6.126 6.127 6.128 6.129 6.130 6.131 6.132 6.133 6.134 6.135 6.136 6.137 6.138 6.139 6.140 6.141 6.142 6.143 6.144 6.145 6.146 6.147 6.148 6.149 6.150 6.151 6.152 6.153 6.154 6.155 6.156 6.157 6.158 6.159 6.160 6.161 6.162 6.163 6.164 6.165 6.166 6.167 6.168 6.169 6.170 6.171 6.172 6.173 6.174 6.175 6.176 6.177 6.178 6.179 6.180 6.181 MechWarrior's Guide to Solaris VII, pp. 128-133 "Location Index"
↑ 7.0 7.1 7.2 Solaris VII: The Game World - Player's Handbook, p. 27 "International Zone - 'Miscellaneous"
↑ 8.0 8.1 8.2 8.3 Solaris VII: The Game World - Player's Handbook, p. 25 "International Zone - Entertainment"
↑ 9.0 9.1 9.2 9.3 9.4 9.5 Solaris VII: The Game World - Player's Handbook, p. 26 "International Zone - Points of Interest"
↑ 10.0 10.1 10.2 10.3 10.4 10.5 10.6 Solaris VII: The Game World - Player's Handbook, p. 26-27 "International Zone - Transportation"
↑ 11.0 11.1 11.2 11.3 11.4 Solaris VII: The Game World - Player's Handbook, p. 23 "City Administration"
↑ 12.0 12.1 Solaris VII: The Game World - Player's Handbook, p. 27 "'Mech Tech"
↑ 13.0 13.1 Unbound, p. 38 "Rampage"
↑ 14.00 14.01 14.02 14.03 14.04 14.05 14.06 14.07 14.08 14.09 14.10 14.11 MechWarrior's Guide to Solaris VII, pp. 128-133 "Location Index"
↑ BattleCorps: INN Newscast (Solaris Broadcasting Co. section), news item published [14/11/3074]: "Dukes-Haider Trials Over"
↑ 16.0 16.1 16.2 16.3 16.4 16.5 Solaris VII: The Game World - Player's Handbook, p. 24-25 "International Zone - Hotels"
↑ 17.0 17.1 Solaris VII: The Game World - Player's Handbook, p. 24 "International Zone - Tourist Services"
↑ Dawn of the Jihad, p. 51 "Solaris Attacked"
↑ 19.0 19.1 Illusions of Victory, "Chapter 12"
↑ 20.0 20.1 Handbook: House Steiner, p. 120 "Media and the Arts - Solaris Broadcasting Corporation"
↑ Solaris VII: The Game World - Player's Book", p. 24 "International Zone - Information"
↑ Solaris VII: The Game World - Player's Handbook, p. 24 "Information"
↑ 24.0 24.1 Classic Battletech Mappack, p. 18 "New Class Six Stadium"
↑ Unbound, pp. 7 "Getting Started"
↑ En Garde, p. 92 "Chapter 24"
↑ 27.0 27.1 27.2 MechWarrior's Guide to Solaris VII, p. 72 "A Brief History of Solaris VII - A Tour of Solaris City - The Black Hills - The Driveby"
↑ 29.00 29.01 29.02 29.03 29.04 29.05 29.06 29.07 29.08 29.09 29.10 Solaris VII: The Game World - Player's Handbook, p. 29-30 "Black Hills - Points of Interest"
↑ Mercenary's Handbook 3055, p. 97 "Running a Mercenary Unit - Buying Equipment - Mercenary Auction"
↑ Experimental Technical Readout: Royal Fantasy, p. 26 "BOREAL REACH (DAVION ARENA) - Post Jihad Modifications"
↑ 32.0 32.1 32.2 32.3 32.4 "Wolf Hunters"
↑ 33.0 33.1 Solaris VII: The Game World - Player's Handbook, p. 31 "Miscellaneous"
↑ 34.0 34.1 Solaris VII: The Game World - Player's Handbook, p. 29-30 "Black Hills - Entertainment"
↑ 35.0 35.1 35.2 35.3 35.4 Solaris VII: The Game World - Player's Handbook, p. 29 "Tourist Services"
↑ 36.0 36.1 36.2 Solaris VII: The Game World - Player's Handbook, p. 29 "Black Hills - Information"
↑ 37.0 37.1 Solaris VII: The Game World - Player's Handbook, p. 28 "Black Hills - City Administration"
↑ Solaris VII: The Game World - Player's Handbook, p. 31 "Black Hills - Transportation"
↑ 39.0 39.1 Solaris VII: The Game World - Player's Handbook, p. 31 "Black Hills - 'Mech Tech"
↑ Main Event, p. 29 "Chapter 6"
↑ Main Event, p. 30 "Chapter 6"
↑ Solaris VII: The Game World - Player's Handbook, p. 29 "Black Hills - Hotels"
↑ Solaris VII: The Game World - Player Book, p. 40 "Montenegro"
↑ 47.0 47.1 47.2 47.3 47.4 47.5 Solaris VII: The Game World - Player Book, p. 40-41 "Montenegro - Neighborhoods"
↑ 48.0 48.1 48.2 Solaris VII: The Game World - Player Book, p. 40 "Montenegro - Entertainment - Hangar 66 (M-16)"
↑ 49.0 49.1 49.2 49.3 49.4 Solaris VII: The Game World - Player Book, p. 41 "Montenegro - Miscellaneous"
↑ Solaris VII: The Game World - Player Book, p. 40 "Montenegro - Entertainment"
↑ Solaris VII: The Game World - Player Book, p. 40-41 "Montenegro - Points of Interest"
↑ 52.0 52.1 52.2 Solaris VII: The Game World - Player Book, p. 41 "Montenegro - 'Mech Tech"
↑ Solaris VII: The Game World - Player Book, p. 40 "Montenegro - Tourist Services"
↑ Solaris VII: The Game World - Player Book, p. 40 "Montenegro - Information"
↑ Solaris VII: Box Set - Gamemaster's Book, p. 12 "Arena Classes"
↑ MechWarrior's Guide to Solaris VII, pp. 73-74 "A Brief History of Solaris VII - A Tour of Solaris City - Montenegro -The Driveby"
↑ Solaris VII: The Game World - Player Book, p. 40 "Montenegro - Entertainment - Hangar 66 (M-16)"
↑ 58.0 58.1 58.2 Solaris VII: The Game World - Player Book, p. 40 "Montenegro - Entertainment"
↑ Solaris VII: The Game World - Player's Handbook, p. 36 "Kobe"
↑ Solaris VII: The Game World - Player's Handbook, p. 36 "Neighborhoods"
↑ 64.0 64.1 64.2 Solaris VII: The Game World - Player's Handbook, p. 36 "Kobe - Hotels"
↑ 65.0 65.1 65.2 Solaris VII: The Game World - Player's Handbook, p. 38 "Kobe - Miscellaneous"
↑ 66.0 66.1 66.2 66.3 66.4 66.5 66.6 66.7 66.8 Solaris VII: The Game World - Player's Handbook, p. 37-38 "Kobe - Points of Interest"
↑ 67.0 67.1 Solaris VII: The Game World - Player's Handbook, p. 38 "Kobe - 'Mech Tech"
↑ Illusions of Victory, "Chapter 17"
↑ 69.0 69.1 Solaris VII: The Game World - Player's Handbook, p. 36 "Kobe - City Administration"
↑ 71.0 71.1 71.2 71.3 71.4 71.5 Solaris VII: The Game World - Player's Handbook, p. 36 "Kobe - Entertainment"
↑ 72.0 72.1 "A Guy Walks Into a Bar on Solaris VII..."
↑ Solaris VII: The Game World - Player's Handbook, p. 32 "Cathay"
↑ 75.0 75.1 75.2 75.3 75.4 MechWarrior's Guide to Solaris VII, pp. 72-73 "A Brief History of Solaris VII - A Tour of Solaris City - Cathay -The Driveby"
↑ Solaris VII: The Game World - Player's Handbook, p. 33 "Neighborhoods"
↑ 77.0 77.1 77.2 Solaris VII: The Game World - Player's Handbook, p. 35 "Cathay - Miscellaneous"
↑ 78.0 78.1 78.2 78.3 78.4 78.5 78.6 78.7 78.8 Solaris VII: The Game World - Player's Handbook, p. 33-35 "Cathay - Entertainment"
↑ 79.0 79.1 79.2 Solaris VII: The Game World - Player's Handbook, p. 32 "Cathay - City Administartion"
↑ 80.0 80.1 80.2 80.3 80.4 Solaris VII: The Game World - Player's Handbook, p. 35 "Cathay - Points of Interest"
↑ 81.0 81.1 Solaris VII: The Game World - Player's Handbook, p. 33 "Cathay - Hotels"
↑ 82.0 82.1 Solaris VII: The Game World - Player's Handbook, p. 35 "Cathay - 'Mech Tech"
↑ MechWarrior's Guide to Solaris VII, p. 72 "Cathay"
↑ Solaris VII: The Game World - Player's Handbook, p. 42 "Silesia - Neighborhoods"
↑ 85.0 85.1 85.2 Solaris VII: The Game World - Player's Handbook, p. 43 "Silesia - Hotels"
↑ Assumption of Risk, "Chapter 30"
↑ 87.0 87.1 87.2 87.3 87.4 87.5 87.6 87.7 Solaris VII: The Game World - Player's Handbook, p. 42 "Silesia - Points of Interest"
↑ 88.0 88.1 88.2 88.3 88.4 88.5 88.6 Solaris VII: The Game World - Player's Handbook, p. 42 "Silesia - Entertainment"
↑ MechWarrior's Guide to Solaris VII, p. 124 "Crimson Voodoo Stables"
↑ 90.0 90.1 Solaris VII: The Game World - Player's Handbook, p. 42 "Silesia - 'Mech Tech"
↑ MechWarrior's Guide to Solaris VII, p. 74 "A brief story of Solaris VII: Silesia"
↑ 92.0 92.1 92.2 92.3 92.4 Solaris VII: The Game World - Player's Handbook, p. 42 "Silesia - Miscellaneous"
↑ MechWarrior's Guide to Solaris VII, pp. 4-5 "Job Security"
↑ Solaris VII: The Game World - Player's Handbook, p. 42 "Silesia - City Administration"
↑ Illusions of Victory, "Chapter Seven"
↑ MechWarrior's Guide to Solaris VII, p. 114 "Checking Out the MechWarrior Hangouts"
↑ Illusions of Victory, "Chapter Twenty-Two"
↑ MechWarrior's Guide to Solaris VII, p. 104 "First Impressions - A Day Like Any Other - Behind the Scenes"
↑ Solaris Gamemaster's Book, p. 19, "Oonthrax Stables"
↑ Solaris VII: The Game World - Player Book, p. 43 "Silesia - Entertainment - Thor's Shieldhall (S-28)"
↑ MechWarrior's Guide to Solaris VII, p. 74 "A Brief History of Solaris VII - A Tour of Solaris City - Silesia -The Driveby"
↑ Handbook: House Steiner, p. 147, "Innovative Design Concepts Profile"
↑ Handbook: House Steiner, p. 148, "Omnitech Industries (Not Trading) Profile"
↑ Solaris VII: The Game World - Game Master book, p. 20 "Lion City Stables"
↑ MechWarrior's Guide to Solaris VII, pp. 113 "Pete's"
↑ Solaris VII: Game Master Book p. 16 - Facilities - Description of Wolf Creek and where. ↑ Solaris VII: The Game World - Game Master book, p. 21 "Zelazni Stables"
↑ 116.0 116.1 Solaris: The Reaches, p. 15 "Xolara"
↑ Solaris: The Reaches, p. 5 "History - Tragedy Strikes"
↑ Solaris: The Reaches, p. 16 "Xolara - Neighborhoods"
↑ 119.0 119.1 Solaris: The Reaches, p. 17 "Xolara - Entertainment"
↑ 120.0 120.1 120.2 Solaris: The Reaches, p. 15-16 "Xolara - City Administration"
↑ 121.0 121.1 121.2 Solaris: The Reaches, p. 16-17 "Xolara - Neighborhoods"
↑ 123.0 123.1 123.2 123.3 Solaris: The Reaches, p. 17-18 "Xolara - Points of Interest"
↑ 124.0 124.1 124.2 Solaris: The Reaches, p. 24-25 "Xolara - Miscellaneous"
↑ Solaris: The Reaches, p. 18-20 "Xolara - Hartford Gardens"
↑ 126.0 126.1 126.2 126.3 The Season at Rankar's Deep, "News Items"
↑ Solaris: The Reaches, p. 21-23 "Xolara - King of the Mountain"
↑ 128.0 128.1 128.2 128.3 Solaris: The Reaches, p. 24 "Xolara - 'Mech Tech"
↑ 129.0 129.1 129.2 "Old MechWarriors never..."
↑ BattleCorps: INN Newscast (Solaris Broadcasting Co. section), news item published [03/04/3003]: "Spotlight: 3 April 3003 - Rhamses vs Parkinson"
↑ 131.0 131.1 Handbook: House Steiner, pp. 147-148, "BattleMech Design Firms of Solaris VII"
↑ 133.0 133.1 Solaris VII: Box Set - Gamemaster's Book, p. 18 "Silver Dragons Stables"
↑ Solaris VII: The Game World - Game Master book, p. 18 "Silver Dragons Stables"
↑ Solaris the Reaches, p. 13, "Vampires Stable"
↑ Solaris: The Reaches, p. 26 "Burgton"
↑ 137.0 137.1 Solaris: The Reaches, p. 26 "Dowagiac"
↑ 138.0 138.1 138.2 138.3 Solaris: The Reaches, p. 27 "North Pier"
↑ 139.0 139.1 139.2 Solaris: The Reaches, p. 34 "Joppa"
↑ 140.0 140.1 Solaris: The Reaches, p. 35 "Kalamazoo"
↑ 141.0 141.1 141.2 141.3 Solaris: The Reaches, p. 26-27 "Burgton - Dowagiac"
↑ 142.0 142.1 142.2 142.3 142.4 Solaris: The Reaches, p. 26-27 "Burgton - North Pier"
↑ Jihad Secrets: The Blake Documents, p. 25 "Jihad: The Early Years - Operation: SHOWTIME"
↑ Solaris The Reaches, p. 12 - "Hombres Stable"
↑ 145.0 145.1 145.2 Solaris: The Reaches, p. 26-27 "Burgton - Joppa"
↑ 146.0 146.1 146.2 146.3 146.4 146.5 Solaris: The Reaches, p. 26-27 "Burgton - Kalamazoo"
↑ 147.0 147.1 147.2 Solaris VII: The Reaches, p. 13, "Gangs and Stables" - Banshee Stable. ↑ Solaris: The Reaches, p. 5 "History - Early Years"
↑ Solaris: The Reaches, p. 38 "Bracken Swamp"
↑ Solaris: The Reaches, p. 38 "Beal City"
↑ 151.0 151.1 Solaris: The Reaches, p. 39 "Rowe"
↑ 152.0 152.1 152.2 152.3 152.4 Solaris: The Reaches, p. 26-27 "Bracken Swamp - Beal City"
↑ 153.0 153.1 153.2 Solaris: The Reaches, p. 26-27 "Bracken Swamp - Rowe"
↑ MechWarrior's Guide to Solaris VII, "First Impressions"
↑ 155.0 155.1 155.2 Solaris: The Reaches, p. 44 "Roland Fields"
↑ Solaris: The Reaches, p. 44 "Barrymore Range"
↑ "Jihad Secrets: The Blake Documents", p. 26 "OPERATION: Showtime"
BattleCorps: INN Newscast (Solaris Broadcasting Co. section), news item published [14/11/3074]: "Dukes-Haider Trials Over"
BattleCorps: INN Newscast (Solaris Broadcasting Co. section), news item published [03/04/3003]: "Spotlight: 3 April 3003 - Rhamses vs Parkinson"
This page was last edited on 22 February 2019, at 03:48.